Philander is expected to start the second and final Test which begins on October 6. 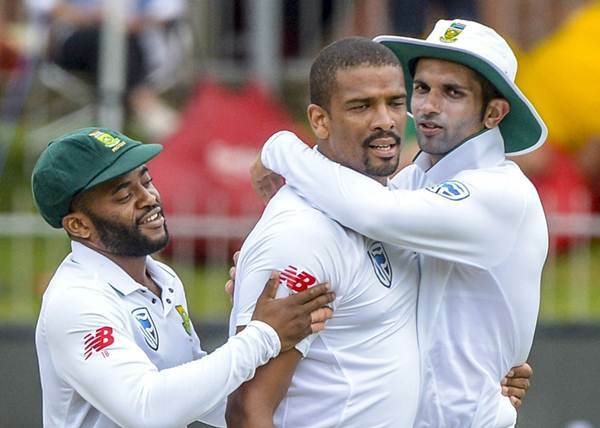 Vernon Philander is set to skip the first of the 2-Test series against Bangladesh as he has failed to recover from a back injury he sustained during the away Test series in England. All-rounder Chris Morris also sustained a back niggle and is set to miss the entire Test series as the injury will take ten weeks to heal. Philander has been a crucial member of the Test side but his tryst with injuries has been a cause for a problem. During the England series, former captain Graeme Smith warned Philander to work on his fitness in order to prolong his career. The fast bowling all-rounder is targeting his return on September 28, when he will turn up for a first-class game to assess his fitness for the second Test. The squad for the 2-match series is expected to be announced after the conclusion of the first round of domestic first-class games which start on Tuesday. In the absence of Philander, Steyn and now Morris, Kagiso Rabada and Morne Morkel are expected to lead the South African attack. The likes of Wayne Parnell, Duanne Oliver, Andile Phehlukwayo and Beuran Hendricks will be looking to impress the selectors to grab that third seamer slot. Morris is expected to be fit for the T20 series which will is scheduled for mid-October. “If he is symptom-free he might be available for the Bangladesh ODI series but the T20 series is more of a reality,” he said. No timeline has been set for a Dale Steyn comeback yet though the fast bowler has hinted that he will take the field during the Global T20 league in November. Steyn, 34, has already expressed his desire to play the game for another couple of years.